Why remember Bartolomé de Las Casas? We use history to understand the present and the Christopher Columbus story of heroic exploration and conquest is not serving us well. The heroic public story of European colonization of Latin America and South America masks another history, of slavery, theft, and murder. This is an urgent problem. Day by day, we’re building a new world with our neighbors from Latin America and South America – sometimes as long-distance friends from mission trips or church gatherings, sometimes as neighbors down the street. Because this new world needs all the kindness, respect, and wisdom we can offer, churches can do justice work right now by finding and teaching a more complete, more honest understanding of our past. 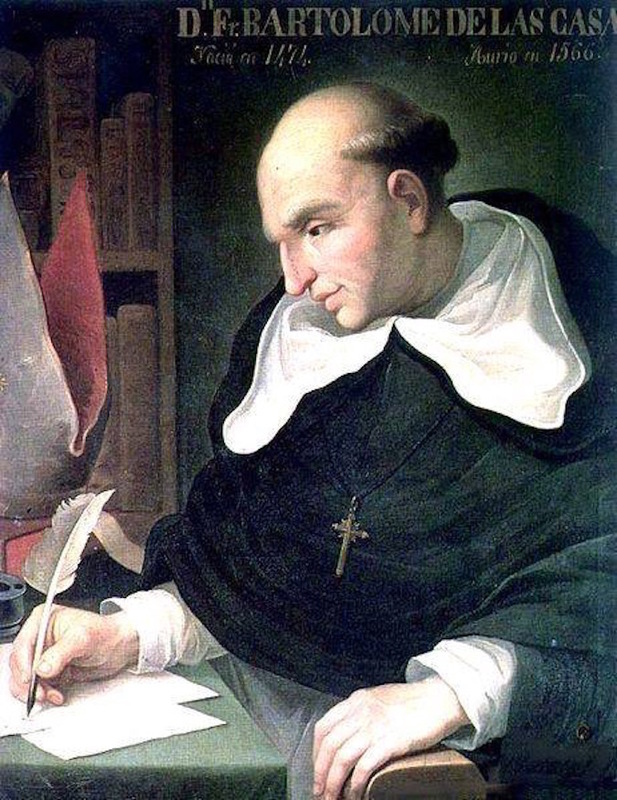 Bartolomé de Las Casas, a contemporary of Columbus, invites us into a different part of our history. He came to the Americas as a young soldier of fortune but God changed his heart; he spent the rest of his life working and advocating for justice for the indigenous peoples of the Americas. Remembering Bartolomé is a curated collection of music, texts, and ideas, primarily designed for English-speaking congregations, for your design of a liturgy commemorating Bartolomé de Las Casas. It includes readings from Bartolomé’s work, suggested lections in blended language, hymn and anthem suggestions, and pointers to accessible versions of Latin American early music. Bartolomé is commemorated in the calendar of both the Episcopal Church and the Evangelical Lutheran Church in America, but the materials presented here should be useful for any faith community. This entry was posted in blended language liturgy, commemorations and tagged Bartolomé, blended language, commemoration, Evening Prayer, music, saints, Spanish. Bookmark the permalink.